Snacky snack snnnaaaack time! I admit, healthy snacks are not always easy to find, and getting creative with them can be a challenge. But these 4 ingredient coconut pistachio clusters are a perfect way to slay the snack attack, in a squeaky clean way! I get asked often, “what are some healthy snack ideas?” and I’m always a little stumped. On one hand, I have a ton of ideas, on the other hand, they’re all ideas everyone has heard of a million, billion times. Nut butter and apples slices √ Sliced veggies √ Homemade trail mix √ blah blah blah we’ve all heard them/seen them/tried them. 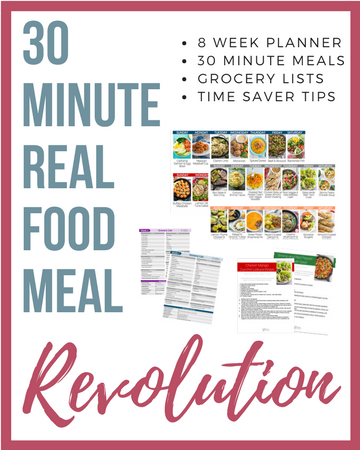 And don’t even get me started on packaged food – I mean yeah, I stock up on that stuff too. But those bars/crackers/snack packs get old too. Not to mention expensive. That’s why when I created these 4 ingredient coconut pistachio clusters I gave myself a big ‘ol high five. These healthy, paleo clusters are re-donkously easy and customizable too! I loved adding a little bittersweet kick of of raw cacao nibs, but the possibilities are never ending. Mini chocolate chips will do too. Want to add sliced almonds? Go for it. Freeze-dried fruit? I dig it. A few spoonfuls of honey to sweeten it all a bit? By all means! 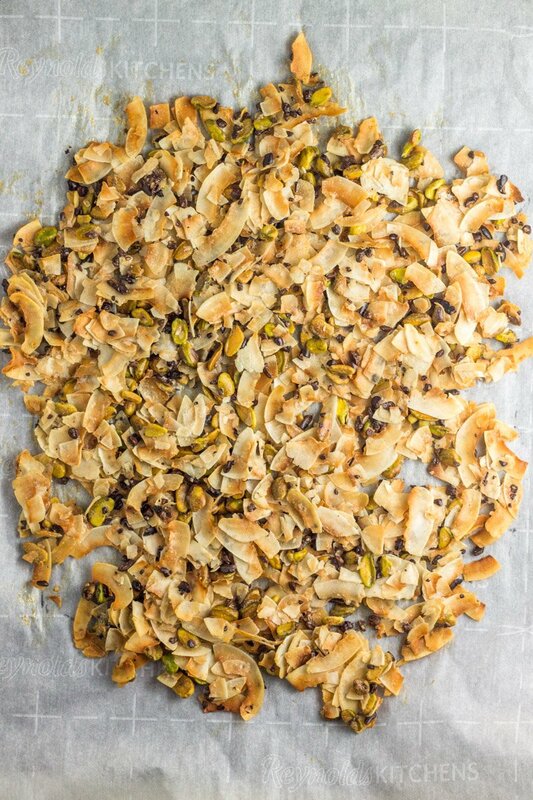 These 4 ingredient coconut pistachio clusters have such a unique combo of toasted coconut and a hint if nuttiness from the pistachios, but are not sweet. Which is kinda why I dig them. My sugar dragon yields its ugly head enough, so I didn’t feel the need to sweeten these healthy snacks with anything. BUT if you need a little sweet or trying to gradually wean off the sugar, I highly recommend adding a few tablespoons of raw honey or pure maple syrup. Especially if you’re planning to serve these clusters to picky kiddos! 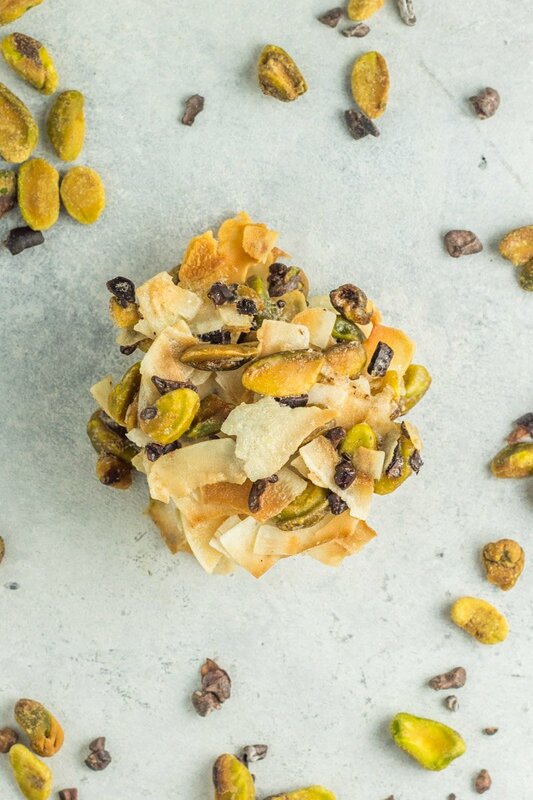 I love the crunch, love the simplicity, and love the ability to make these 4 ingredient coconut pistachio clusters in VERY little time. These will most definitely be going down as my go-to healthy summer snacking staple! 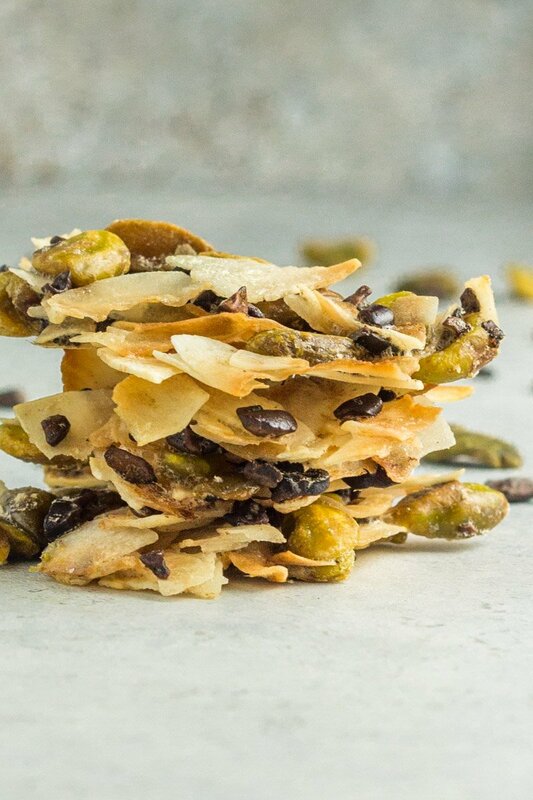 If you’re looking for an easy, portable snack that paleo dreams are made of, this is it. Make ’em, break ’em, devour ’em. And when you’re looking for more healthy snacking ideas, try these Matcha Energy Bites, Crispy Instant Pot Plantain Chips, 3 Ingredient Paleo Blueberry Bliss Balls, and these Almond Cocoa Mocha Balls too! 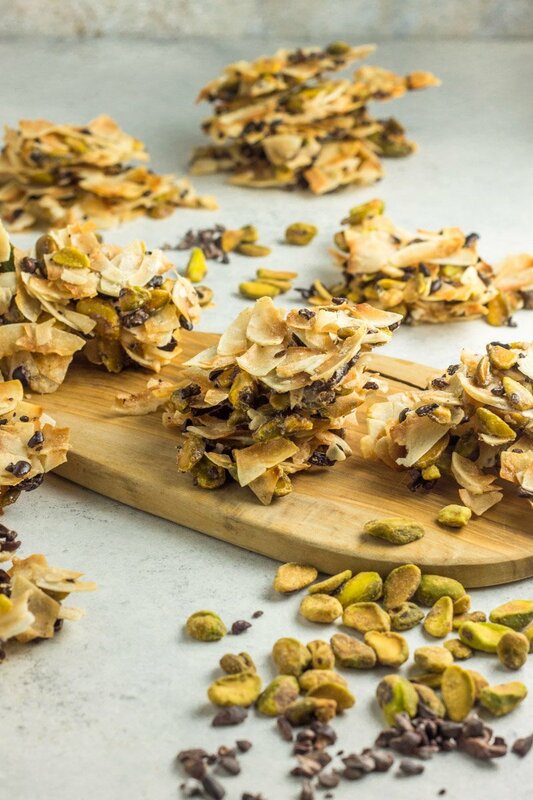 These healthy snacks are packed with toasted coconut and nutty pistachio flavor – but they are not sweet. If a sweet treat is desired, add a sweetener of choice like honey or maple syrup when mixing the contents with the whisked egg whites. 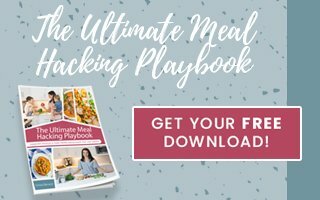 I LOVEEE crunchy cluster snacks; have you tried the Whole Me Paleo clusters? I have tried this 2x and it is not coming out crisp, but chewy. Have tried baking it longer and unless its almost burnt it does not crisp up?? Any thoughts on how to make this come out crispy? We really like the flavor and idea of these! Hmmmm I’m very puzzled! Mine always turns out crispy. Did you add any sweetener by chance? Hi! Do you foresee any issue if I used shredded coconut instead of coconut chips? Thanks ahead for your feedback : ). I might use a bit more shredded coconut just to make sure it all sticks, but you should be able to sub perfectly!